A high standard of Football was on display and teams were never without support with a fantastic crowd watching from the side-lines who were treated to refreshments throughout the day. Rhode GAA would like to thank all of our Volunteers who gave a hand on the day whether it was parking cars, serving refreshments or doing umpire during the games it is very much appreciated and without you the day could have went so well. Minkah Fitzpatrick Jersey A big thank you to our grounds man Dickie Conroy who had the grounds and Pitches looking fantastic. Rhode Senior footballers gained their fifth brace of points in this year’s championship when they had a 5-17 to 1-8 win over Clara at O’Connor Park on Sunday morning. The first half was very well contested with Rhode leading 3-5 to 1-6 at in interval, goals from Stephen Hannon, Ruairi McNamee and Anton Sullivan. Rhode took complete control of the second half and further goals from Niall McNamee and Paul McPadden sealed the victory. 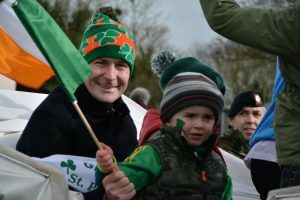 Rhode Intermediate footballers dropped their fifth point in this year’s championship when they were narrowly beaten by Daingean on a score line of 0-16 to 1-12 at a well presented Ballyfore pitch on Saturday evening. Rhode led at the interval by 1-7 to 0-6 Donal Hickey scoring the goal, and at one stage in the second half led by six points but Daingean just did enough to win. NIKE AIR ZOOM VOMERO 11 Rhode now must win their remaining two games to have any chance of reaching the semi-final. nike air max 2017 blu donna Rhode Under 16 footballers qualified for the quarter final of the championship when they received a walk-over from St. Rynagh’s on Monday night last in a game which was due to be played in Rhode. Congratulations and very best of luck to Rhode Footballer Glen O’Connell who is currently in America. Glen along with his Young Irelanders/St Brendan’s team mates have reached the Sanfrancisco County Final. We look forward to seeing Glen back in the Rhode Jersey very soon, Under 14 Play-Off Rhode v St Vincent’s in Walsh Island Wednesday at 7pm Under 12 Championship Rhode V Der Gaels in Pullough Thursday 7.30 Intermediate Championship Rhode v Bracknagh in Daingean on Sunday at 12noon Senior Championship Rhode v Edenderry in O’Connor Park on Sunday at 6pm Under 16 Championship Rhode v Ballycumber/Tubber in Ballycumber on Monday the 24th at 7pm The Annual Rhode GAA Golf Classic will take place at Edenderry Golf Club on Saturday 5th of September. The format is a four ball scramble. Oklahoma State Cowboys Prizes for GUI and non GUI teams. Fjallraven Kanken Occasion Refreshments served at the 10th tee. Teams of four €120. Tee sponsorship €100 and other sponsorship opportunities available. To book tee times and for more information please contact Ger Hynes 086 814 3622 Club Secretary or Oliver Murphy 089 4944 535 or any committee member. There was no winner of the Rhode GAA Lotto Draw that took place on the 10th of August for a Jackpot of €15,000. The numbers drawn were 2 9 11 30. new balance uomo misure The club would like to thank all those who supported the draw and thanks to O’Toole’s for the use of their premises and for their help and cooperation. Air Jordan 9 Retro The following matched three numbers and received €70 each. 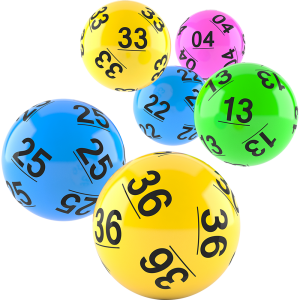 The lotto this is in Killeen’s Lillibeth Donegan, Rhode R and D O’Toole, c/o O’Toole’s Bar Rhode Deckie Scally, Ballybrittan Edenderry The Rhode GAA Lotto is the main source of income the club has and now you can play online though our website. The good news is when you play the lotto online you are entitled to free draws, for example pay for seven draws receive the eighth one free, pay for fourteen draws receive two free and so on.